That was Federal Reserve Chairman Ben Bernanke's vow as the worst financial panic in more than 50 years gripped the world and he struggled to avoid the once unthinkable: a repeat of the Great Depression. Brilliant but temperamentally cautious, Bernanke researched and wrote about the causes of the Depression during his career as an academic. Then, when thrust into a role as one of the most important people in the world, he was compelled to boldness by circumstances he never anticipated. The president of the United States can respond instantly to a missile attack with America's military might, but he cannot respond to a financial crisis with real money unless Congress acts. The Fed chairman can. Bernanke did. Under his leadership the Fed spearheaded the biggest government intervention in more than half a century and effectively became the fourth branch of government, with no direct accountability to the nation's voters. Believing that the economic catastrophe of the 1930s was largely the fault of a sluggish and wrongheaded Federal Reserve, Bernanke was determined not to repeat that epic mistake. 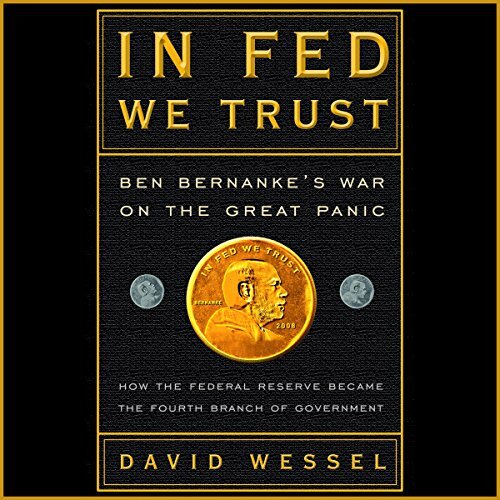 In this penetrating look inside the most powerful economic institution in the world, David Wessel illuminates its opaque and undemocratic inner workings, while revealing how the Bernanke Fed led the desperate effort to prevent the world's financial engine from grinding to a halt.